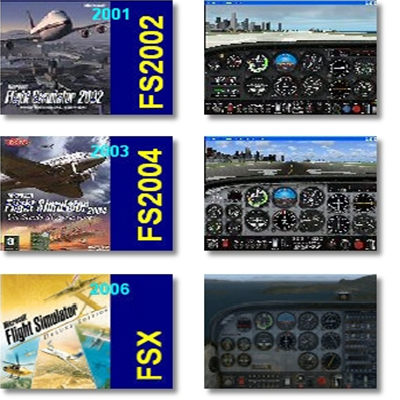 Hieronder in vogelvlucht de evolutie van FS 1.0 naar FSX ontwikkeld door Bruce Artwick, de geestelijke vader van de Flight Simulator. 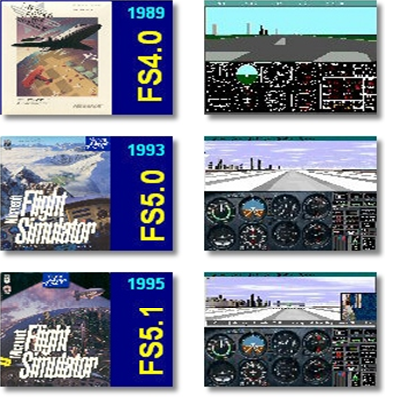 Bruce Artwick was the creator of the first consumer flight simulator software. 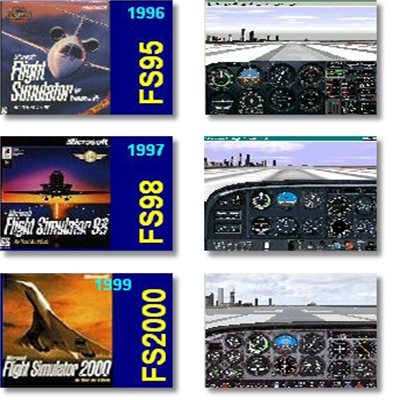 His original Apple II software was purchased by Microsoft and eventually became Microsoft Flight Simulator. 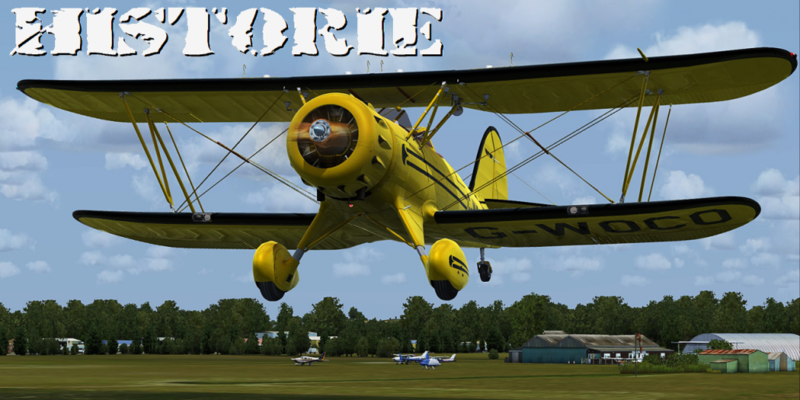 He founded the company SubLogic after graduating at the University of Illinois at Urbana-Champaign in 1977, which released the first version of Flight Simulator the following year. It was named SubLogic after the logic circuits he built for the PDP 11 in the University of Illinois’ Digital Computer Laboratory (DCL). Before being able to find his first company, Artwick worked for Hughes Aircraft in Culver City, California. It was there that he realized he could create his own 3-D dynamic graphics on 6800-based machines. 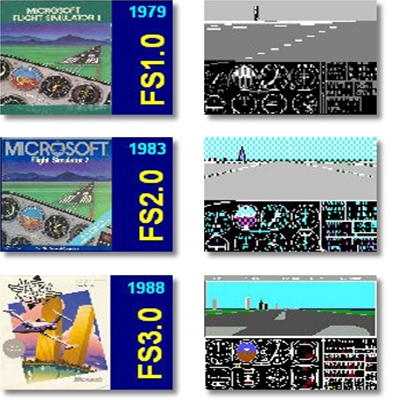 After SubLogic, Bruce founded the Bruce Artwick Organization which continued development of flight simulator products which was eventually bought out by Microsoft. Artwick was born and raised in Norridge, Illinois and attended Triton Junior college before going to University of Illinois at Urbana-Champaign to study computer engineering in 1973. When he got there, Artwick switched his focus at first to electrical engineering because he believed that the degree would be more acceptable to the public eye. 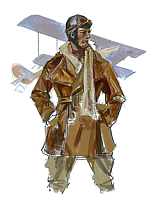 As a student at U of I, Artwick expressed his enthusiasm for aviation by doing research at the Aviation Research Lab holding a technician position in DCL. Between 1975-1976 Artwick and his graphic group in the University designed graphic terminals for DCL. During this time, Artwick found himself the time to become a pilot. The amount of hours spent doing graphics accumulated to a rich understanding for the topic which according to Bruce, he said, “I learned more working in the basement of DCL than in classes.” Artwick graduated with a bachelor’s degree in electrical engineering in 1975 and obtained a Master’s Degree in electrical Engineering in the following year.